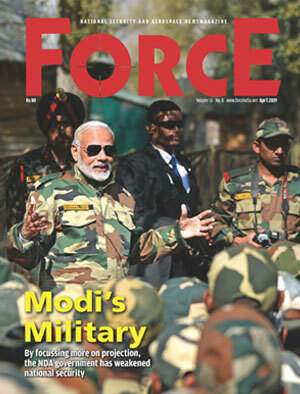 By declaring at an election rally that he had the courage to conduct surgical strikes on land, air and in space, Prime Minister Narendra Modi has demonstrated that he has no qualms in projecting military power for personal gains. His strikes have blunted India’s military deterrence by exposure, alerted the adversaries to counter-moves, and importantly, politicised senior officials in these three war domains. Consequently, the biggest victim of Prime Minister Modi’s three-dimensional surgical strikes has been India’s war-fighting capability. In a multi-party democracy, military preparedness is inversely proportional to politicisation — the strength of India’s military institutions lies in their remaining apolitical. While preparedness implies capability building including military reforms and realistic training for war, politicisation — the project that began with the Vajpayee government and was completed with the 2016 surgical strikes — means that senior military leadership aligns its service’s objective with that of the ruling political party (instead of the government), which in the case of the BJP are not the same as the national objective. Let’s start with India’s least evolved space domain, where Modi claimed on March 27 that with the single Anti-Satellite (ASAT) test India had joined the elite club of space powers comprising the US, Russia and China. The facts first: India fired a missile and hit its own satellite at 300km altitude in Low Earth Orbit (LEO), which extends from 160km to 2,000km — the dividing line between atmosphere and space being 100km above mean sea level. The DRDO chief, Sateesh Reddy, however, claimed India “has a capability to hit a target as far away as 1,000km in space.” Officials clarified that low altitude of 300km was chosen to ensure that debris of the hit satellite does not pollute space since it would decay and fall-back into the atmosphere faster. Claims were made by former DRDO chief, V.K. Saraswat too. 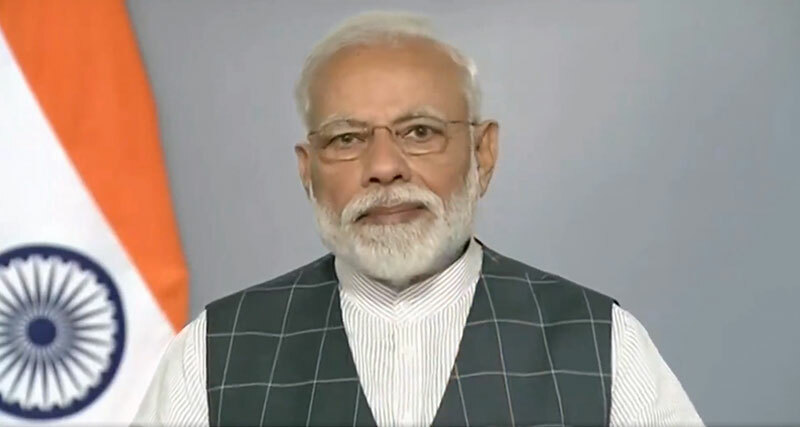 He said that with the ASAT test, India had acquired deterrence; no enemy would mess up with India’s space objects; the technology would help in intercepting long-range ballistic missiles (help improve indigenous Ballistic Missile Defence) which could be taken up in phase-two of the ASAT programme. He also said that the technology was ready in April 2012 when India successfully test-fired the 5,000km range Agni-5 missile, but it was the Modi government who gave resources, permission and encouragement to do the ASAT test. Now, some home-truths. With successful Agni-5 test-firing, the DRDO achieved ability to make solid-propellent missile which could reach hypersonic speeds of more than Mach 5 (Mach being the speed of sound). The problem was and still remains the need for guidance and control of the missile in the hypersonic region. For clarity, let’s take the analogy of a sport car cruising at 200km without the steering! The DRDO has made several efforts since 2012 to get the restrictive and critical guidance and control technologies for hypersonic missiles in addition to high-energy propellants (for higher altitudes) from a friendly nation, but has not succeeded. True to form, all these years, DRDO did not invest time, energy and finance for building indigenous guidance and control technology knowing well that hypersonic missiles with desired guidance and control become ASAT missiles for hit-and-kill of satellites from LEO to Higher Earth Orbit (HEO) or geo-stationary orbit (from 160km to over 35,000km). With the recent ASAT test, it is certain that procuring these technologies from outside would become harder.